The threat of termites, and the massive damage they can do, is well documented. CSIRO studies have shown that 1 in 3 homes in Australia will be affected by termites each year and none of this damage is covered by home insurance. 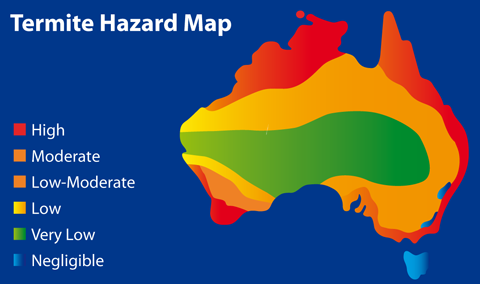 Perth and down through the South West are very high risk termite areas and so keeping all this in mind, a trusted, proven weapon must be used to protect your home – your largest investment – from the ravages of termites. To understand how an effective termiticide works in eliminating termites, one needs to realise that when seeing termite activity around your home you’re only seeing ‘the tip of the termite iceberg!” The actual colony, and the termite queen, could be located up to 100 metres away and the termites are moving constantly backwards and forwards between the colony and the food source. In the past, termite treatments for termites in the soil were repellents meaning termites could detect its presence and would stay away from it finding another way to breach the termite barrier. In 2002, after many years of research, the renown German company BASF released a new type of termite treatment called Termidor. 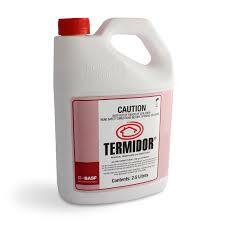 Termidor was a revolution in termite control for two reasons . . . it wasn’t a repellent and it aimed to destroy not just visible termites, but the whole colony! One of the big developments with Termidor was that it was essentially non-detectable. Termites are a social creature. They live together in large colonies (sometimes numbering in the millions!) and they spend their time feeding and grooming one another. In doing this, they are in constant physical contact with each other as they forage for food and traverse through the galleries of their colony. Termidor exploits these known facts about termites and once ingested, the termite isn’t even aware of the poison’s presence. But what happens then is more amazing. Yes, those termites in the immediate treatment zone will die, but all other ‘infected’ termites will unknowingly transfer the Termidor termiticide to every other termite with whom it comes in contact. It heads back to the colony along the way infecting termite after termite with the soon to be lethal poison. This is termed the “transfer effect” and is a powerful tool to use in eliminating termites. 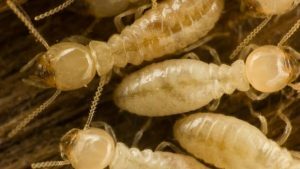 Within a few days, those initially infected termites will die and other termites will cannibalise its body they themselves getting infected and dying in the galleries and in the main colony. Because Termidor cannot be detected by termites, this process continues until most of, and possibly all, the colony is destroyed. Termidor has been formulated using carefully studied and selected high quality components. The manufacturers of Termidor, BASF, instituted a comprehensive, independent study of a number of Termidor ‘facsimile’ products and the results were astounding! 6 of 8 key chemical properties of Termidor that were copied were shown to be greatly inferior to the original designed chemicals. In fact 3 of the generic copies were 5 times more inferior with the speed of dispersion of the product through soil shown to be of a very poor quality when compared to the original Termidor and would greatly affect the efficacy of these copies. Ants, like termites, are social creatures living in large colonies. More specific details about the ants we have in Western Australia can be found on our website HERE but one point that should be noted is that ants won’t damage timber in good condition. Ants actually serve a useful role in our eco-system in that they are important predators and scavengers and contribute to the recycling of nutrients to the soil. However . . . in a domestic or industrial situation ants can be a big problem and getting rid of ants is imperative. In most situations ants will nest in soil amongst rocks or in decaying timber. Occasionally ants will nest inside a building in the wall cavity, skirting boards and ceiling spaces and these can be difficult to remove however Perth Pest Control’s technicians are trained to efficiently solve this problem. Most issues with ants emanate from those who have built an external nest and it’s worth keeping in mind that when you see out ants marching along outside, you’re only seeing perhaps 5 – 10% of the colony . . . the rest are inside the various chambers and passages that make up the ant colony. The following video gives a much better visual representation of the sheer size and complexity of a typical ant colony. So knowing all this, how do we get rid of ants? Reminiscent of our treatment for termites with Termidor, our technicians would locate all ant activity and proceed to apply a Termidor liquid treatment to the surrounding areas. As with a termite treatment, ants in the immediate treatment zone will die. The rest will become infected, returning to the nest and in turn infecting other ants along the way and so it goes on until the colony is eventually eliminated. 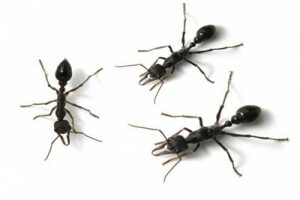 Termidor is the only treatment we at Perth Pest Control would use externally for ants. It’s extremely effective in getting rid of ants, not harsh on the environment and is a product in which we have total confidence.